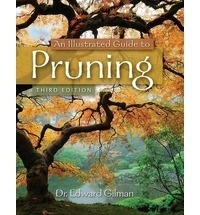 Well written and easy to understand, this third edition is filled with updated illustrations, photographs, and examples designed to help readers understand and implement the appropriate pruning practices that are vital to developing sustainable structure in the first 25 years of a tree's life. With coverage of numerous different tree species as well as information about the challenges associated with pruning such as disease prevention, root pruning, mature tree pruning, and restoration following storms, students will be prepared to identify and understand good tree structure and pruning practices. Authors: - Gilman, Edward F.